Never pay an agency for PR again. 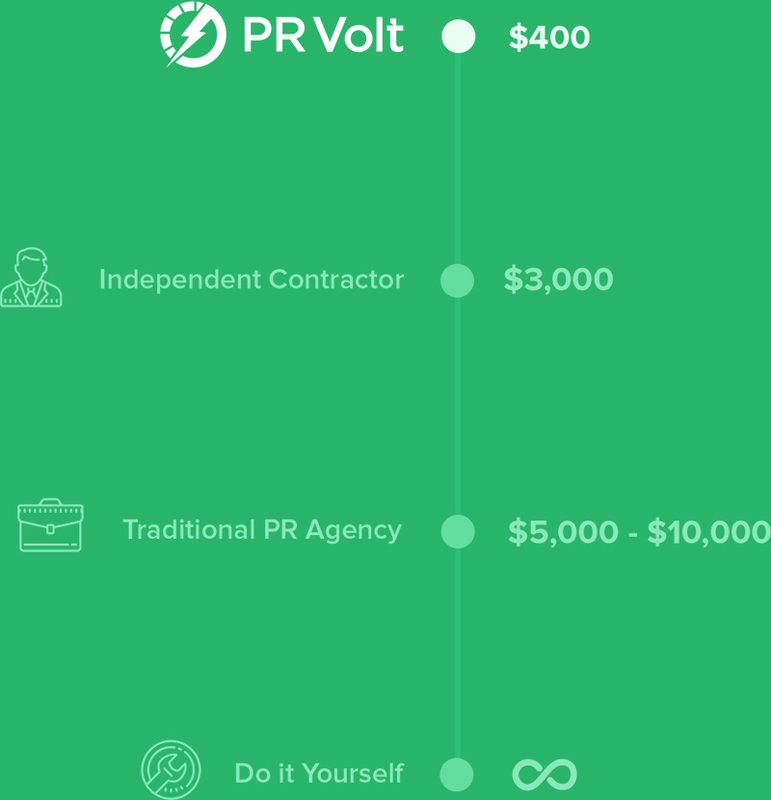 PR Volt automates and amplifies your PR campaigns, giving you the press coverage you need at a fraction of the price. We help startups generate game changing PR. See case studies. With PR Volt you can automatically create, target and optimize your media outreach. 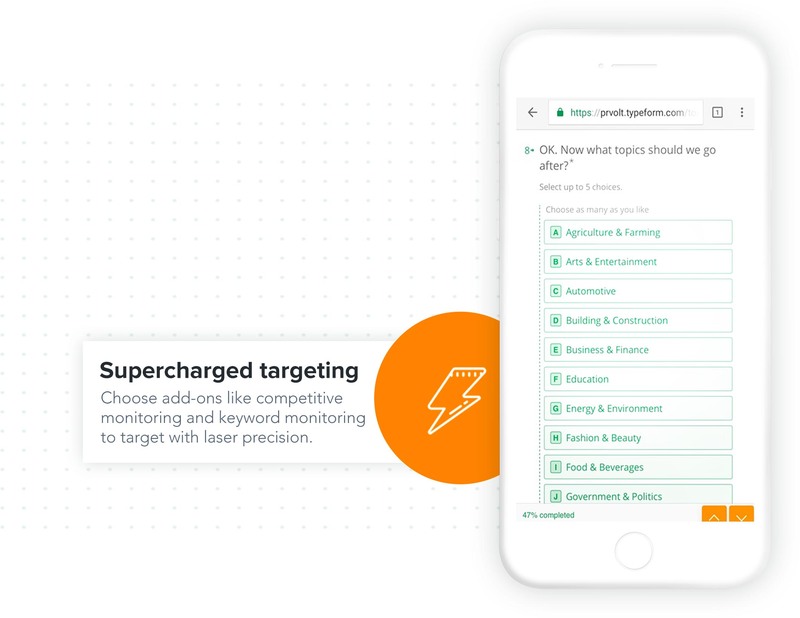 PR Volt crawls and indexes thousands of news sources in real-time, analyzes the content and uses collaborative filtering to determine the editors most likely to respond to your pitch. Our team of copywriters draft the perfect pitch and apply data science techniques to enhance things like subject lines and CTAs. Using our CRM we reach out to editors, personalized and at scale. Every client is paired with a dedicated Campaign Manager. During your sign-up and consultation, your campaign manager will work with you to refine your strategy. You'll hone in on your point of differentiation, targeting specifications and timing. Targeting is the pillar of every great PR campaign. We use pre-defined interest clusters to find editors most likely to respond. We've also developed bots that systematically find editors that wrote about your competition or related keywords. 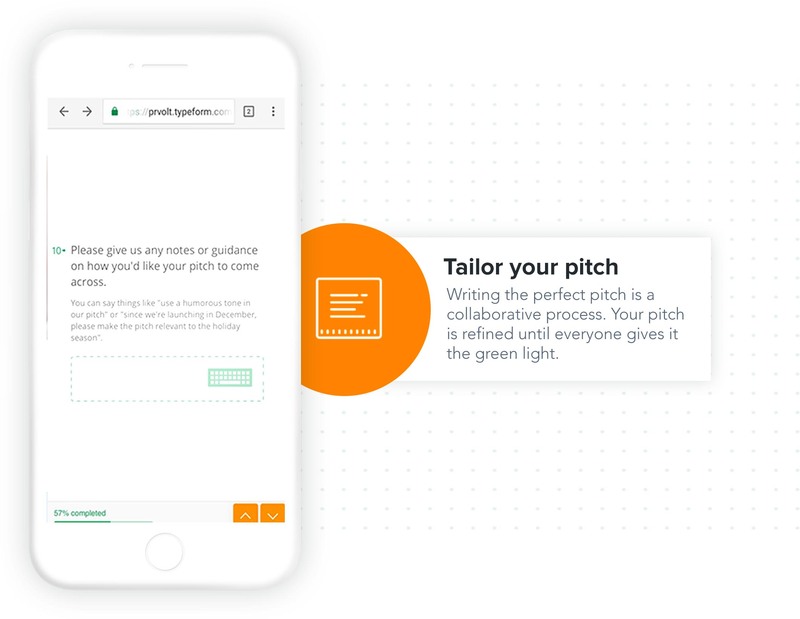 We'll create custom pitches for each editor segment. We've studied thousands of pitches and will structure the content to maximize response rate. Once you approve, we'll blast off your campaign. You'll start getting hits as soon as the campaign is launched. You don't have the time to study every data point, but we do. 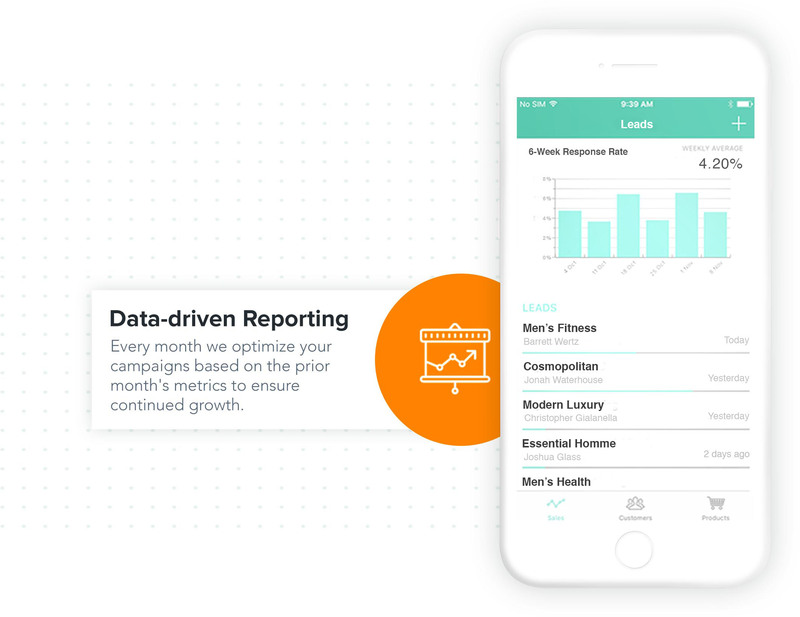 As soon as your campaign is finished, we'll send you analytics so you can see things like how many pitches were sent, your response rate and where you are getting the most traction. 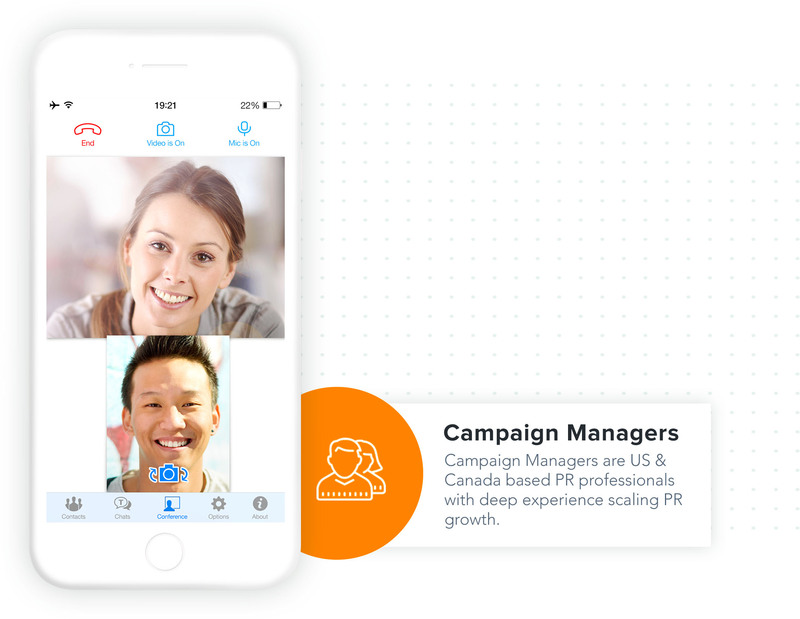 "Compared to traditional agencies, PR Volt is like version 2.0. 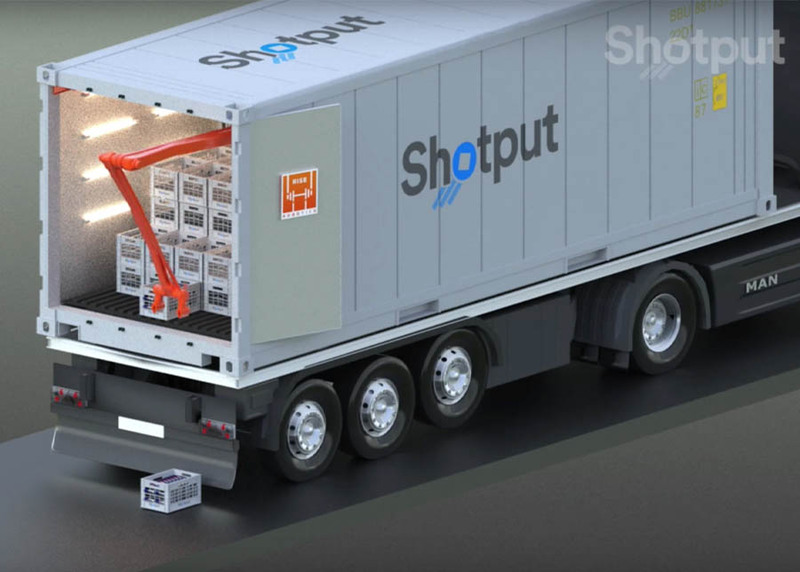 It’s leaner, faster, more efficient and it delivers better results at a fraction of the cost." "I'm consistently amazed with how quickly you learned our brand voice and communicated it to editors for us. PR Volt has been our PR secret weapon." "Before I found PR Volt, I was lost on how to find and pitch editors, who to target, and how to approach people. Now I just watch the results roll in!" Thanks to PR Volt, Brad Feld and Sean Wise have been featured on SIRIUS XM Radio, TechCrunch, CNBC, Forbes, Inc., Huffington Post, and countless other business and entrepreneur-focused podcasts in the last few months alone. Their book Startup Opportunities has gained tremendous exposure and recently became a #1 bestseller. 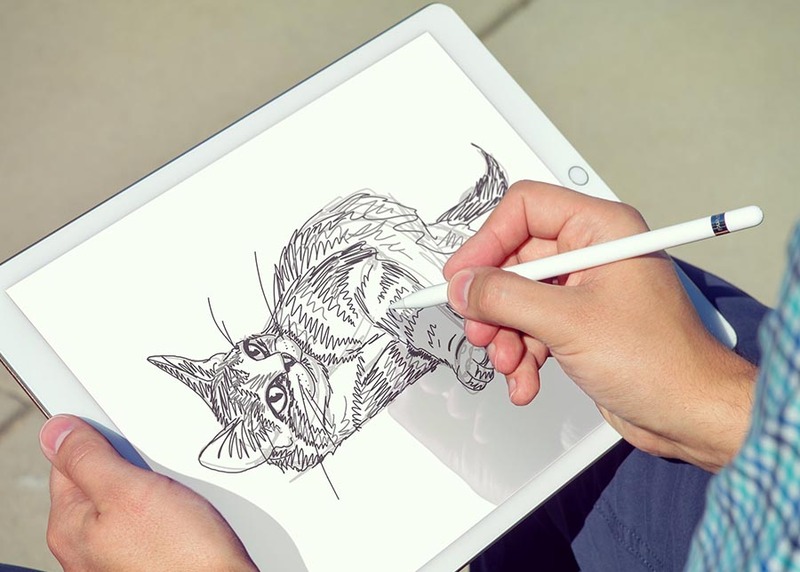 PR Volt cut through the noise and helped ShadowDraw generate coverage from the likes of CNBC, Techaeris, Apple Must, SolidSmack, Art Thibert (Marvel & DC comic artist), USA News Guide, Jan Sapper (creator of PaperLike), Perfect Tech News, and Ookiy. With the volume and quality that PR Volt delivered, Rocketbook generated the interest and visibility they wanted in the timeframe they needed. In the first four months, Rocketbook’s press coverage totaled over 108M views, with an average audience reach of 1.3M per outlet. Since Rocketbook partnered with PR Volt, the company has averaged six outlets per week in press coverage. Rocketbook continues to see results from PR Volt’s efforts and dedication to the brand. Running an effective campaign is hard work. You'll need to build and target lists of editors, write hundreds to thousands of customized pitches and spend hours upon weeks following up with editors. They may be more affordable than an agency, but they're still not an affordable option for your growing business. Plus, they usually lack the resources needed to run an effective campaign at scale. 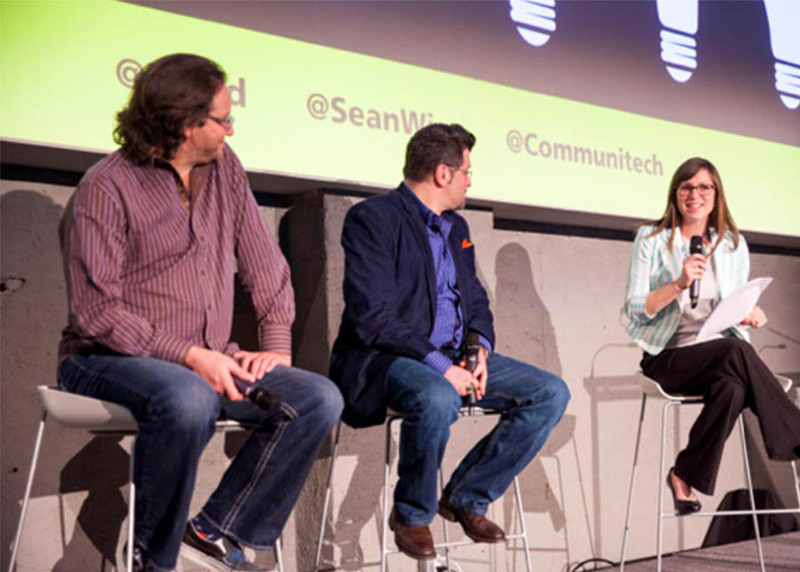 PR agencies are outdated and haven't adopted tech-forward practices. As a result, their costs are super high and almost always out of reach for small businesses and startups. 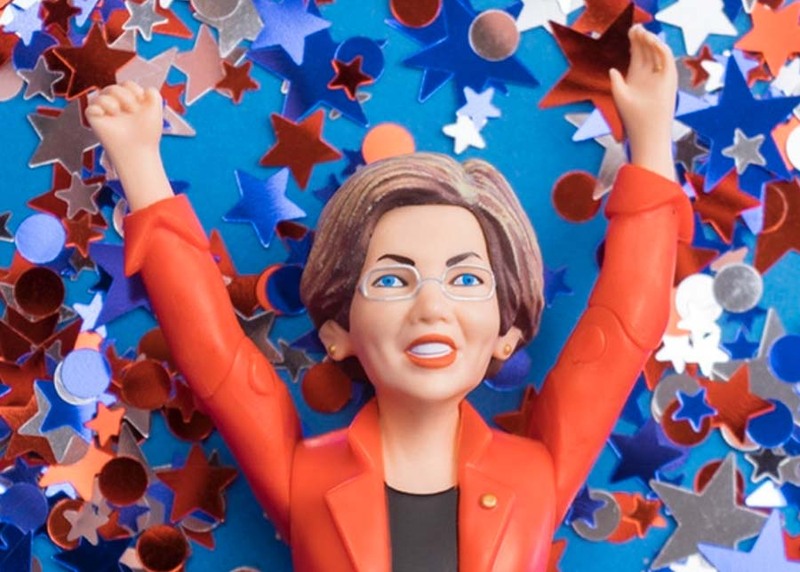 Elizabeth Warren Is Getting Her Own Action Figure. 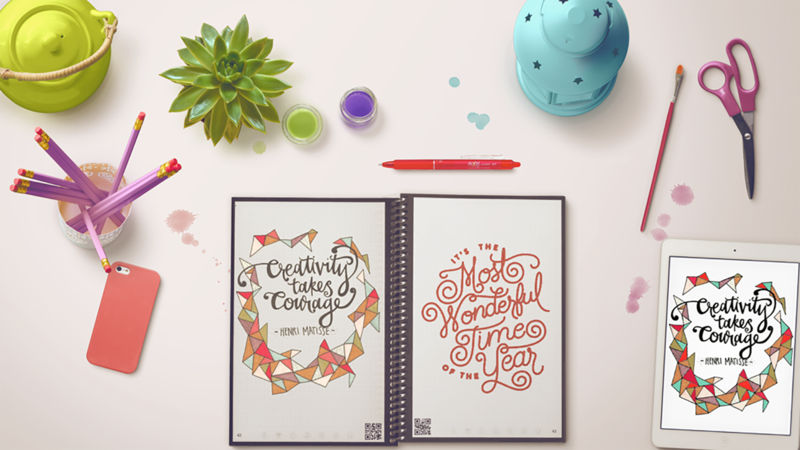 Cut back on your waste with the Rocketbook Everlast reusable spiral notebook. 4 Tips For Coming Up With Investor-Worthy Side Hustle Ideas. Why the 'Mermaid Pillow' is taking over the internet. GoGoToro’s Pokémon-inspired Gamer Series Power Banks don’t skimp on style.